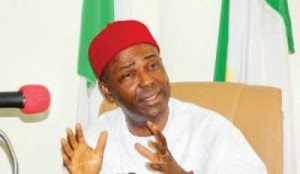 The minister of science and technology, Dr Ogbonnaya Onu, has urged secondary school students from across Nigeria to develop interest in science inclined subjects in order to boost Science, Technology and Innovation (STI) in the nation. Dr Onu gave this charge while addressing the students at the annual final national examinations for the 774 Young Nigerian Scientists Presidential Award (YONSPA) held in Abuja. The minister urged the 37 best students who were selected, from a competition organised at 774 LGA’s across the country, to represent the 36 states of the country including the FCT, saying the examination will encourage youths develop interest in the area of Science, Technology and Innovation (STI). Onu urged the participants to do their best for themselves, the schools and states they represented. He added that the best three students would be part of the country’s delegation in an international Olympiad later in the year and would be recognized at the Technology and Innovation Exposition to hold also later in the year. The also invited the participants to the upcoming Technology and Innovation Expo being organized by the ministry on April, saying he will formally present awards to the top three winners. Earlier, the Permanent Secretary of the ministry, Mrs Belema Wakama, who welcomed the students for the examination, told them that the criteria for grading them would be fair. She noted that the country had renowned scientists working in different parts of the world, adding that the students should endeavour to be enlisted among such experts. In his remarks, the director of science and technology promotion in the ministry, Mr Ekanem Udoh, said the essence of the competition is to encourage youths to participate in science, technology and innovation, saying the students have come from all states of the federation to participate in the competition. 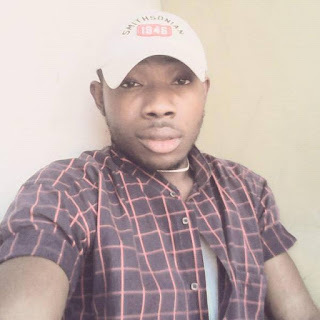 Master Immaculate Akele, a student representing Delta state said that the competition was a breeding ground to pull out young innovators in the society. According to him, ‎the innovations by the young scientists will help develop the country’s economy. Lagos, Ondo, Bayelsa, Kebbi and Rivers were some of the states absent from the competition.